The most versatile and easy-to-use aviation flight computer for fast, accurate flight planning and calculations. 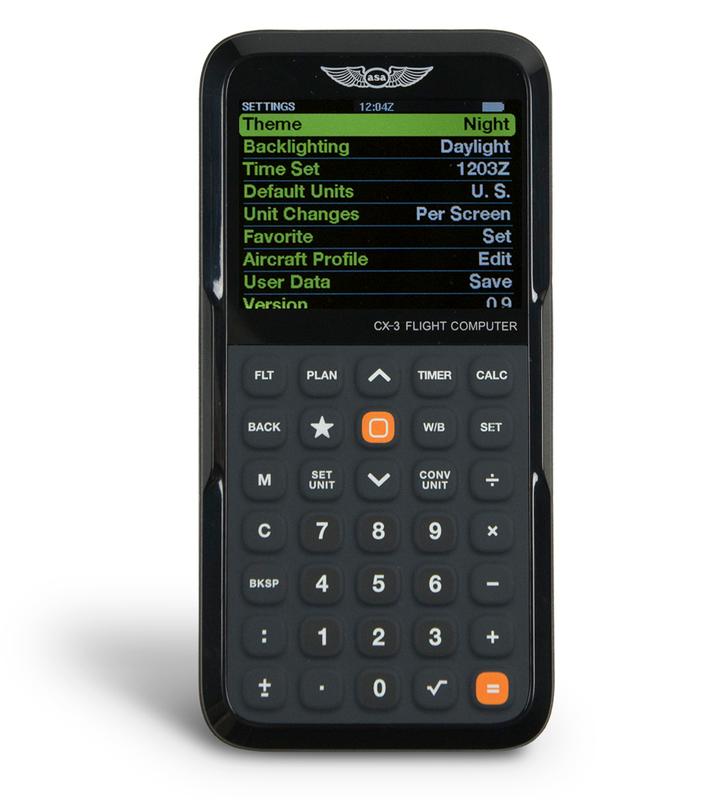 Using the latest microchip and display technologies, the features and functions of the ASA CX-3 Flight Computer make it the most useful aviation calculator available. Includes 4 AAA batteries. Review: Although today’s electronic equipment can do appreciably more this little guy will help you on your pilot exam and it is approved by FAA. Review: The CX-3 is good; although I think Sporty's Flight Computer is better laid out and easier to use. Leg time functionality is also unusual in that it is featured outside of the wind correction function so a calculation normally done in one screen in other flight computers has to be performed in two separate screens, i.e. work out wind correction based on TAS, wind direction, wind speed, etc, and then take the ground speed from the calculation into another screen and input that against the leg distance to determine the leg time. Clunky but quite functional. Pros: Nice, simple UI, firm positive button feel, clear display and appropriate selection of algorithms. Attractive case and rugged. Good job. Review: I just passed my FAA Knowledge exam with a 95% using the CX-3 during the exam and during the online training by Gleim. I much prefer the CX-3 to the slide rule-like E6B computer. I used slide rules all through my initial education as an engineer during the 60's and I do not want to go back there. I recognize the issue with batteries and loss of function compared to the E6Bs and that's why I have two CX-3s; one as a back up. 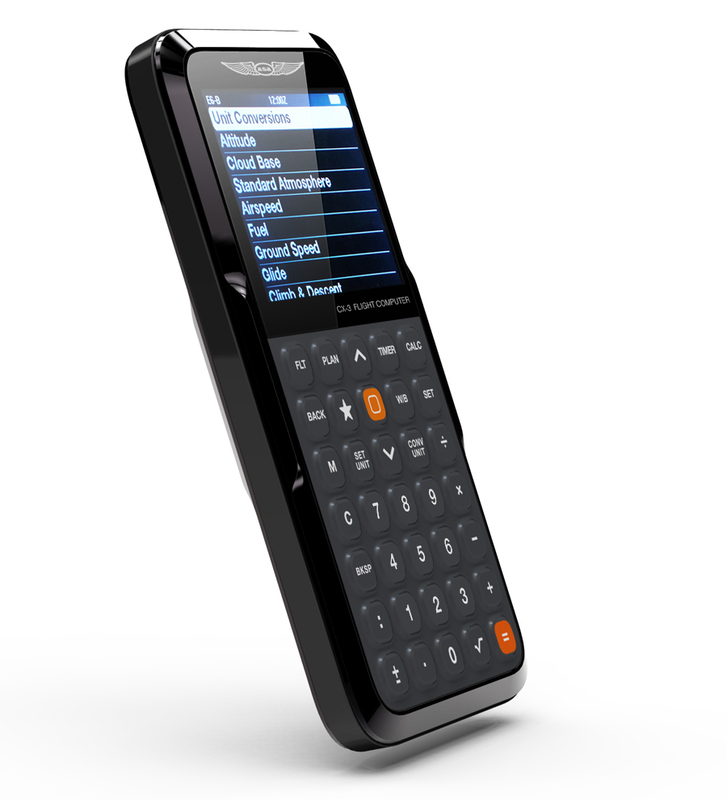 Review: Great calculator that made exam and practical entries easy. The necessary functions are easy to find and the memory function helps with calculations not already carried over from one function to another. Pros: It is small & light weight. The screen is bright enough to see in sunlight. Review: This unit was purchased to replace the previous CX-2 flight computer, which over time, failed to work correctly & became unreliable. The "flow pattern" of needed computations is good; the stored data from the previous calculation is carried forward to the next calculation, as in pressure altitude to density altitude. The unit can do many calculations, and it does take some study to become familiar with all that the CX-3 can do, but so far no major learning curve issues. Review: I'm still learning all the different ways to use it. I don't know that I had to have it, but I think it was a good purchase for me. Good price from a good store. Cons: The cover should slide on/off like the CX-2. Easier to operate wearing flight gloves that way.